Your tour starts off in City Hall Park, where your guide will introduce you to the area’s impressive architecture, including City Hall and the Woolworth Building. It’s hard to believe, but City Hall used to mark the northern border of a much younger Manhattan. Before long, you will be on your way across the Brooklyn Bridge, considered the eighth wonder of the world, a structural marvel and a beautiful work of art. You will make several stops along the bridge to hear stories about its construction and some of the bizarre and tragic events that have taken place along its span. All along the way, you will have ample opportunities for great views and photos. Our guides double as photographers. Upon exiting the bridge, you will enter the landmark neighborhood of Brooklyn Heights, one of New York City’s best-preserved areas of residential homes. 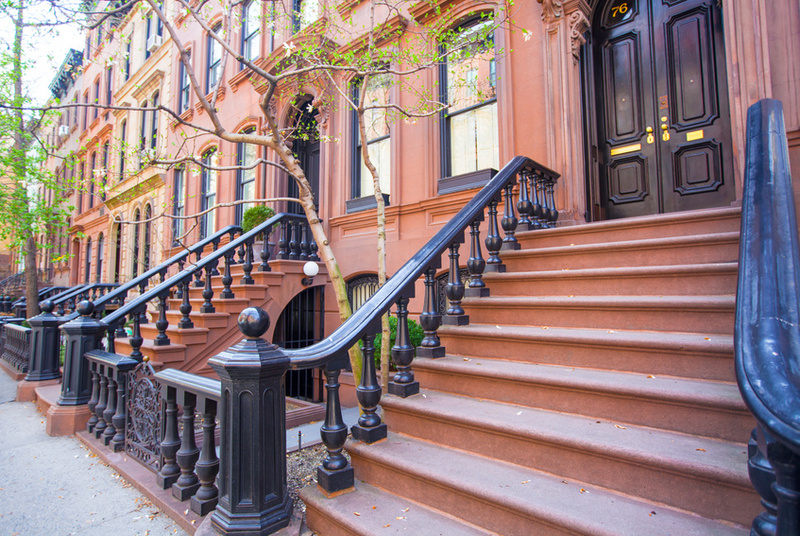 You will find plenty of the brownstones that Brooklyn, in particular, is famous for. These beautiful structures attracted the likes of Truman Capote, Arthur Miller, Marilyn Monroe, Sarah Jessica Parker and Anne Hathaway. There are many more people who helped make Brooklyn Heights the district that it is. 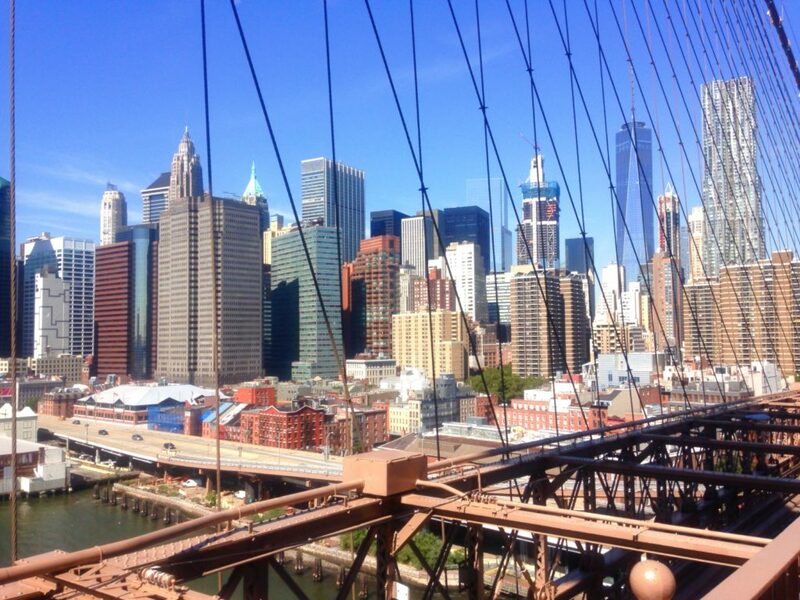 You will end your exploration of Brooklyn Heights with a stop along the Brooklyn Heights Promenade, where you will be afforded one of the best views of Lower Manhattan’s skyline as well as of the Brooklyn Bridge and the New York Harbor. 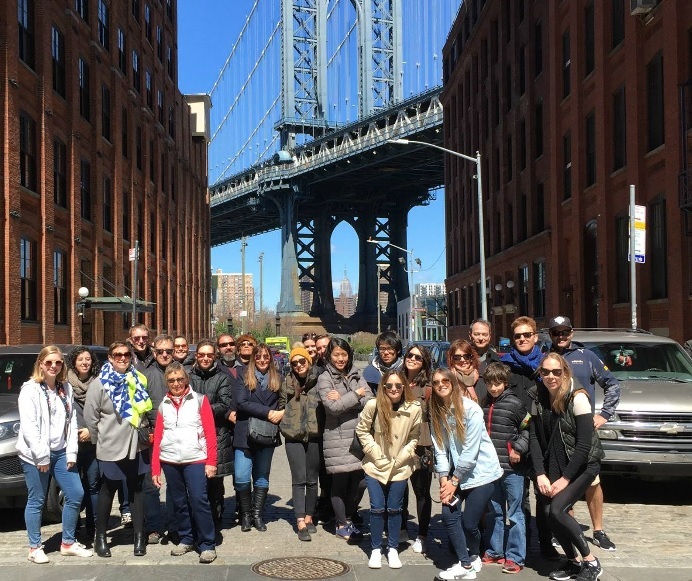 Part 3 of this tour visits a historic Brooklyn neighborhood, that was once a center of manufacturing and industry and is now an ultra-hip place to live and visit. DUMBO, which got its name in the late 1970’s (we’ll tell you what it stands for), features a wonderful combination of past and present. You’ll soak up cutting edge art at the galleries will gazing up at the imposing bulk of the warehouse condos. We also take you to the last of several memorable photo opportunities (see image above). 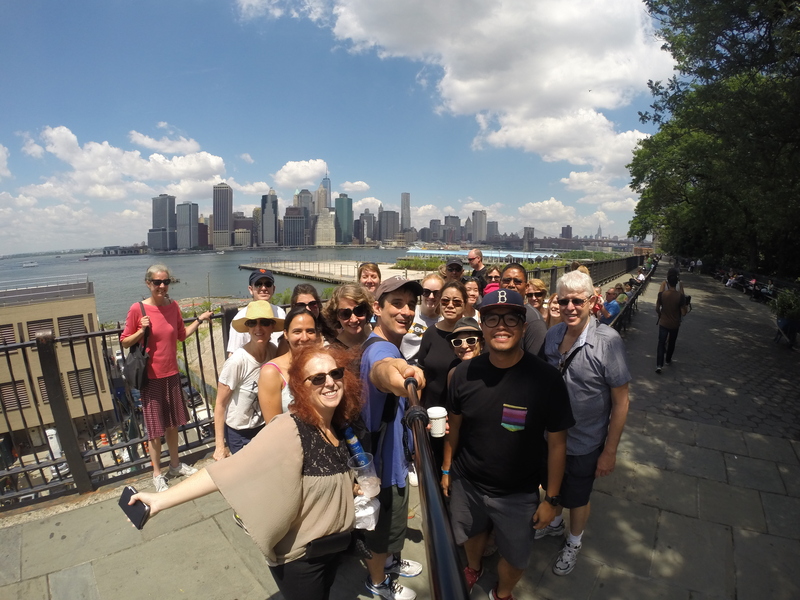 Our tour ends at the Fulton Ferry Landing, where you could take a ferry ride to Manhattan, Governors Island or other parts of Brooklyn – all for the cost of a subway ride.